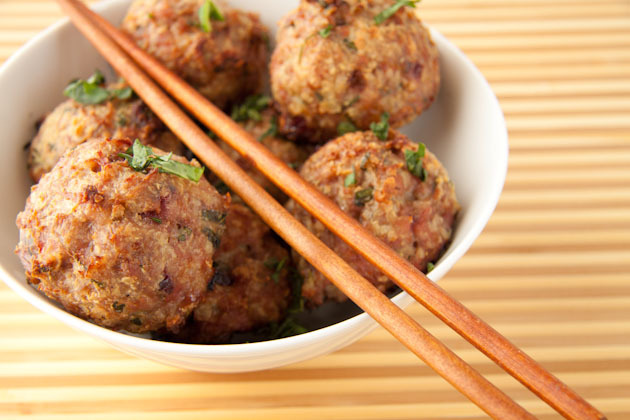 These cranberry turkey meatballs are full of flavor and remind me of Thanksgiving dinner, all rolled up in a little ball! Preheat oven to 400F and line a baking sheet with parchment paper or a silicon baking sheet. Place all ingredients in a large bowl and mix with your hands until combined. 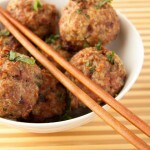 Shape into 8 meatballs and place on prepared pan about 1-inch apart. Bake for 30-35 minutes, until internal temp is 165F.